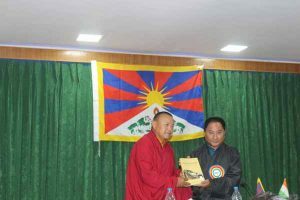 Dharamsala: Speaker of Tibetan Parliament-in-Exile, Pema Jungney was invited as a chief guest to the inauguration ceremony of a book published by former political prisoner Ven. Gaden Bagdo titled “Bod bodyul na Kyi, Gya gyayul na kyi” if loosely translated, Tibetan shall be happy in Tibet and Chinese shall be happy in China on 3 April 2019. 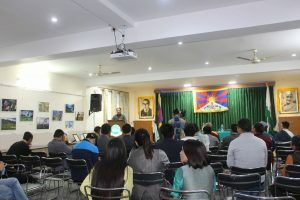 The program began with lighting of butter lamp by the speaker, followed by singing of national anthem and a minute of silence in solidarity for the demise of the Tibetan martyrs at 9:30am in a hall of Library of Tibetan Works and Archives (LTWD). After the opening speech by the writer, Speaker on behalf of Tibetan Parliament-in-Exile greeted and addresses the ceremony. He lauded writer and former political prisoner Ven. Gaden Bagdo, who had worked for Tibet while he was inside Tibet and continued to work for Tibet even after coming to exile. 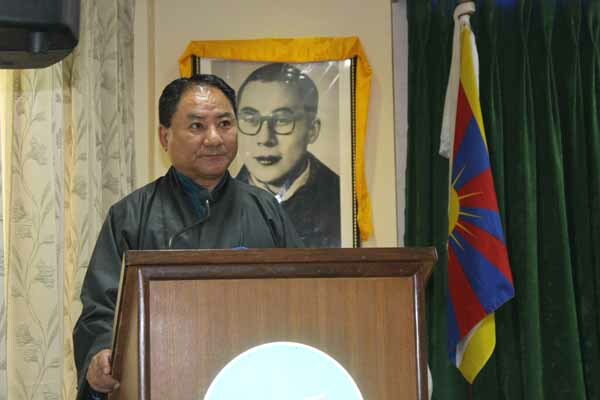 The book titled “Bod bodyul na Kyi, Gya gyayul na kyi” is the 15th book published by him containing 35 essential points which historically proves Tibet was an independent nation, having its own national flag, national anthem, army and postal stamp etc. The book also contains photos of fossils and agreements signed by Tibet as an independent country with other independent countries. This book is the result of three years’ hard work by writer and former political prisoner Ven. 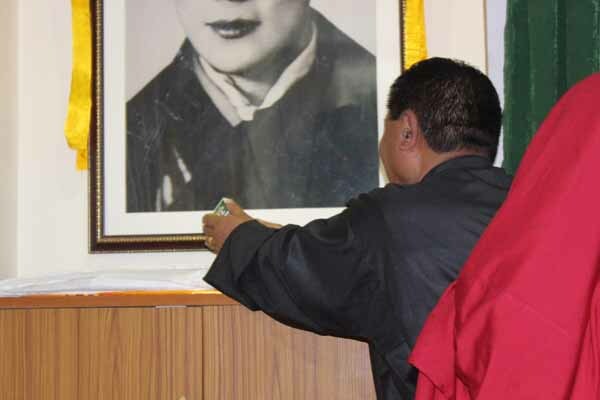 Gaden Bagdo, hoping to benefit younger Tibetans and those who are interested in learning Tibet’s history. Speaker also suggested it would be more beneficial for children, if a book with question and answer form based on this book is publish in future. Finally, Speaker thanked sponsors who have helped in publishing this book because it might be extremely difficult for a simple monk to publish such a book. Speaker also requested the writer and former political prisoner Ven. Gaden Bagdo to continue his good work. The function concluded with thank you speech from the writer.